One of the more common objections we get when talking to specialty manufacturers about Inbound Marketing is, “Our prospects don’t use the internet to buy this type of product.” Because Inbound relies in part on promoting offers of valuable content using social media platforms like LinkedIn, we also hear, “Our prospects aren’t on social media." Fisher Tank Company, one of the country’s leading full-service welded steel tank fabricators and constructors, makes above-ground welded steel tanks for industries like ethanol/bio diesel, industrial, municipal, refining, pulp & paper, water & waste treatment and more. As you can imagine, their products are highly specialized, their sales cycle is fairly long (anywhere from 12 months to several years), many projects run into the millions of dollars, and sales of these massive tanks and related services come almost always as a result of requests-for-quotes (RFQs) or bid packages. So would Inbound Marketing work for this specialty manufacturer? Would the principles apply? – attracting visitors to the website, converting them to leads with content, and nurturing them with additional related content? 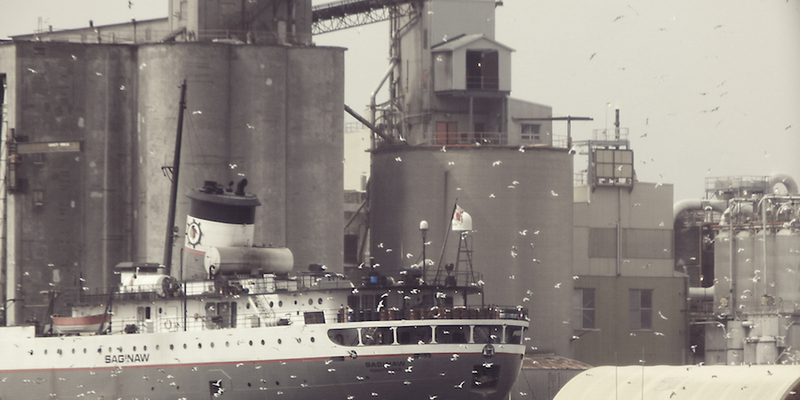 When we told the Fisher team that an Inbound Marketing approach would attract more (and more qualified) prospects to their website and give the company a chance to demonstrate how they think and what they do, they jumped at the opportunity. Since their founding in 1948, their sales people had grown the business primarily by cold calling, word-of-mouth referrals, and with repeat customers. Inbound could be a huge shot in the arm, they agreed; a way to extend their reach, attract visitors to their website and, by nurturing leads with content they're interested in, generate warm leads for their sales team. Our first step was to help Fisher develop a more visually attractive site, and one that was a magnet for search engines. 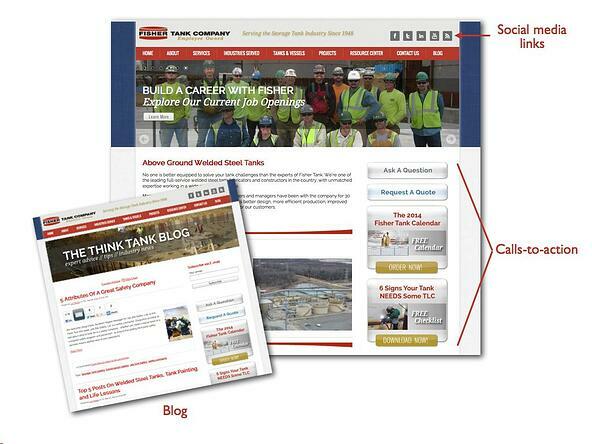 Aside from a fresh, contemporary look, we included calls-to-action to download content of interest and value to prospects (primarily engineers, owners and facility and project managers). We also improved the site architecture, integrated a blog with social sharing abilities, established company social media profiles, and optimized the site with the right long-tail keywords to get Fisher found in more searches. Complete with simplified navigation, content offers, a blog, social media and optimized for search! 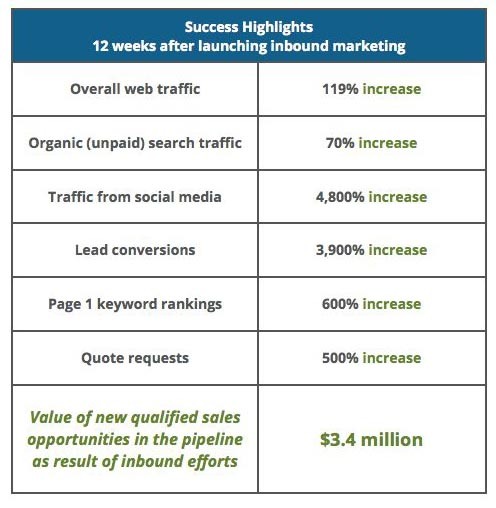 Here’s a look at the numbers, just 12 weeks into launching Inbound Marketing. While Fisher's team was somewhat hesitant initially to add an Inbound strategy and tactics to their marketing, today they're some of the most enthusiastic supporters and promoters of the approach. Their team is eagerly writing good content, sharing the content on social media platforms such as LinkedIn, and reaping the rewards as more and more qualified leads come to the site and download that content in exchange for providing their contact information. 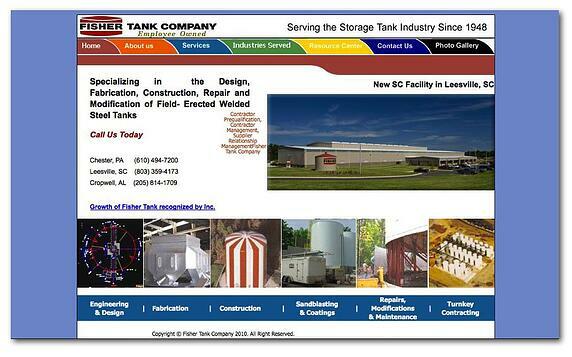 If Fisher Tank isn't a testament to the power of Inbound Marketing for specialty manufacturers, I don’t know what is. Now that you've seen what Inbound can do for a company that manufactures big-ticket specialty B2B products, do you have any doubt it could work for yours?